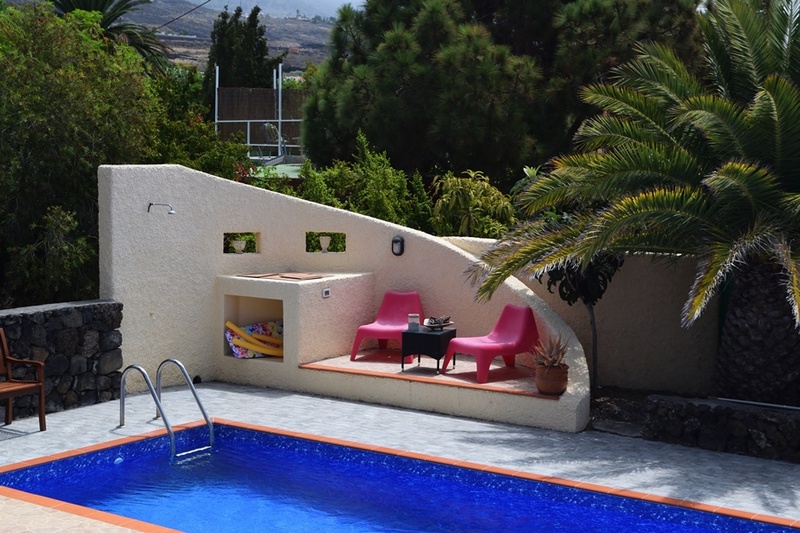 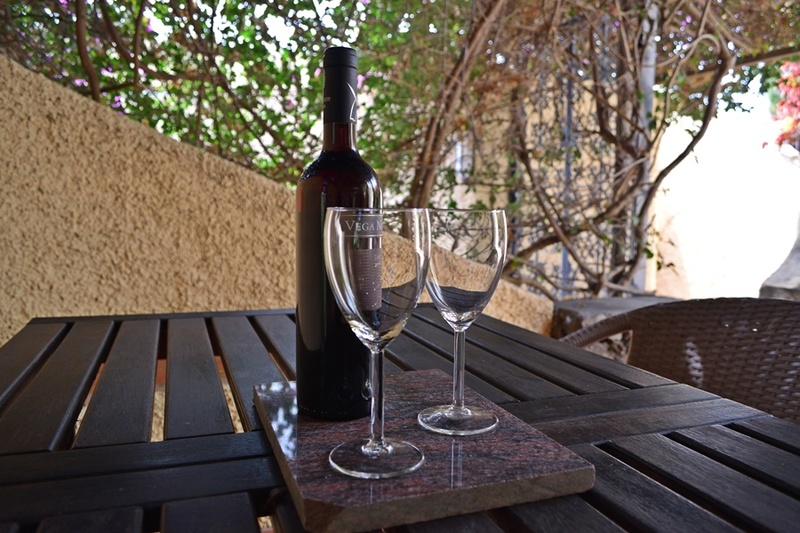 Casa Cora Ena is a fantastic holiday home for 4 persons with private pool in Las Norias. 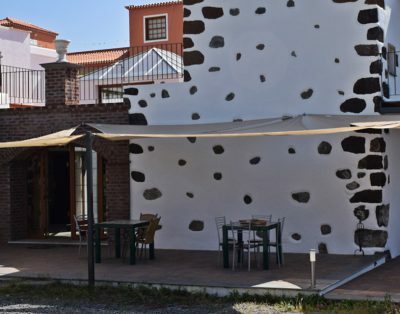 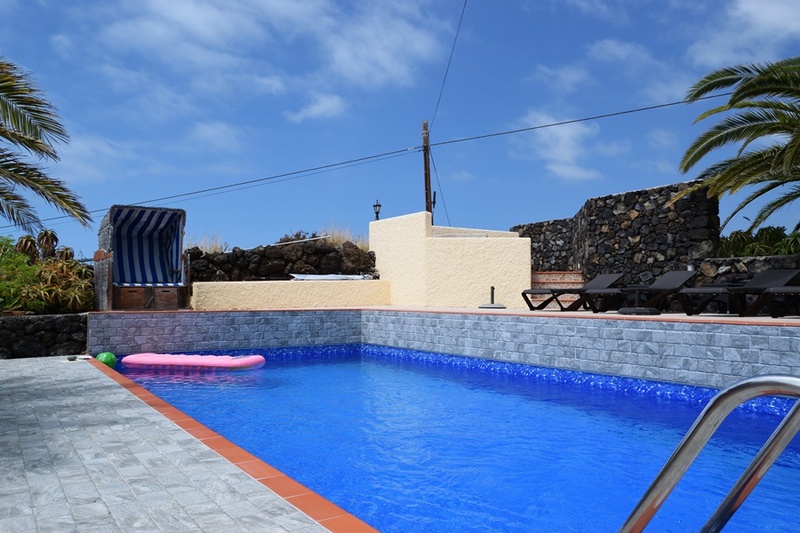 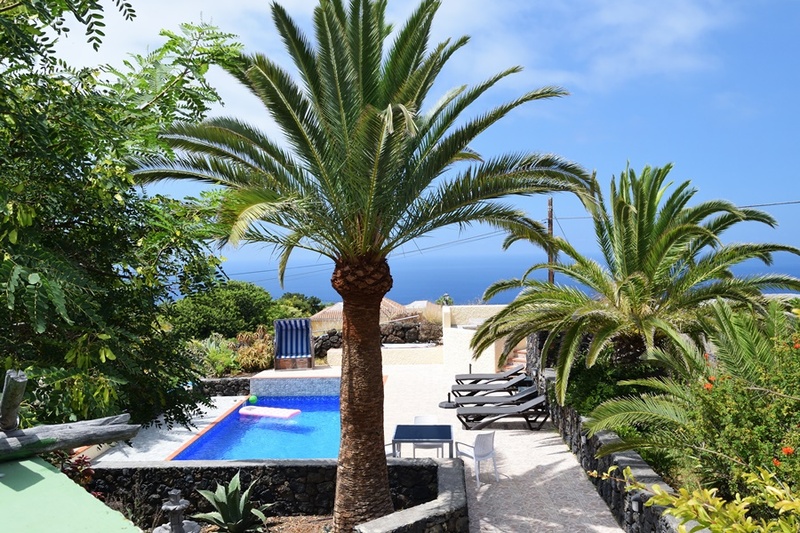 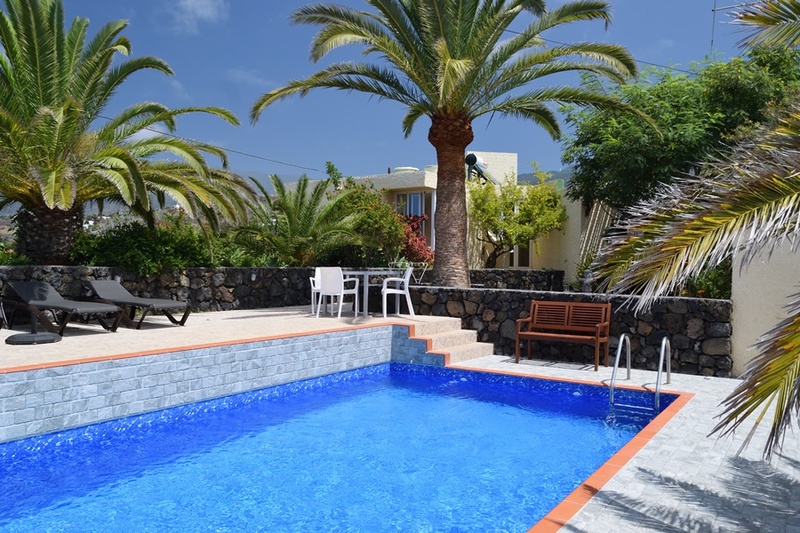 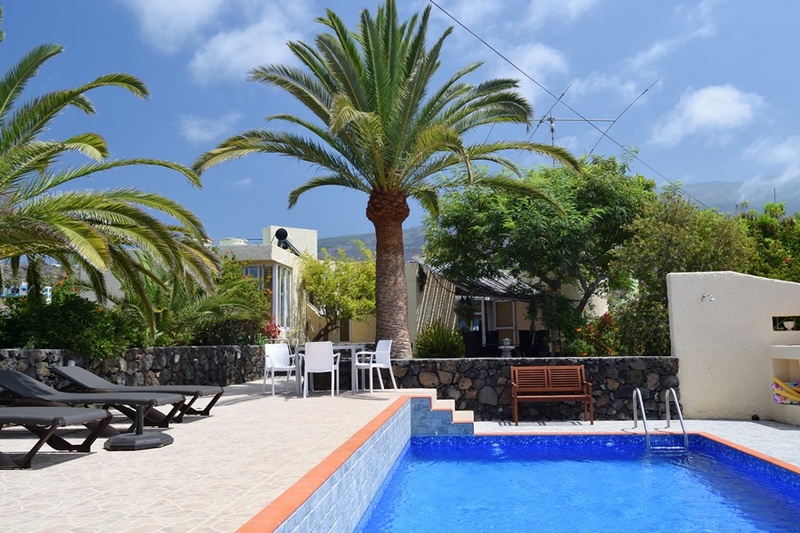 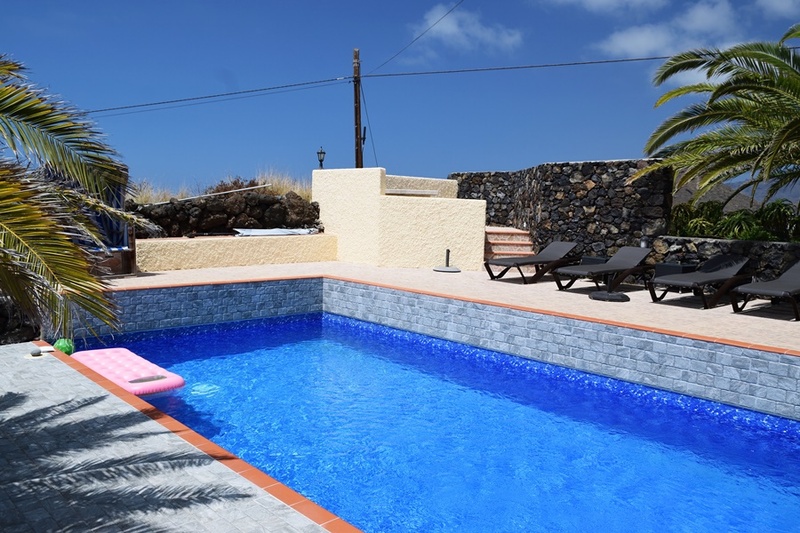 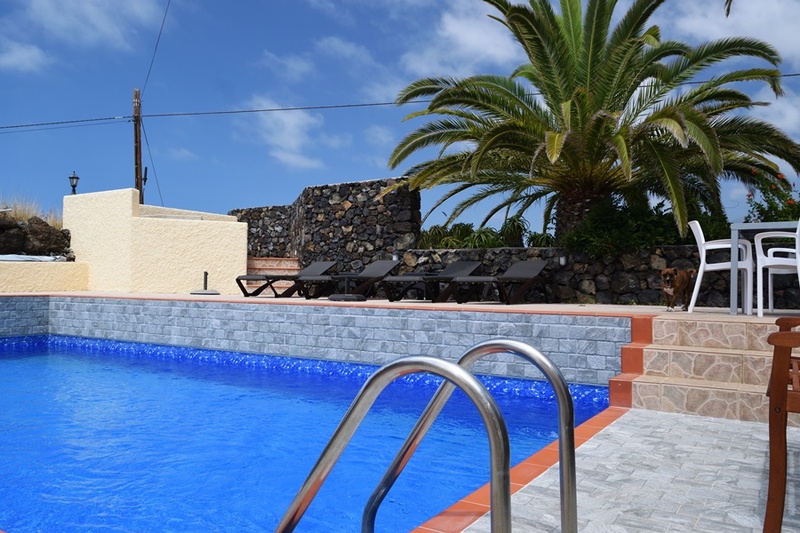 The detached holiday home Cora Ena is located in Las Norias, between Puerto de Naos and Los Llanos at an altitude of 270 meters above sea level. 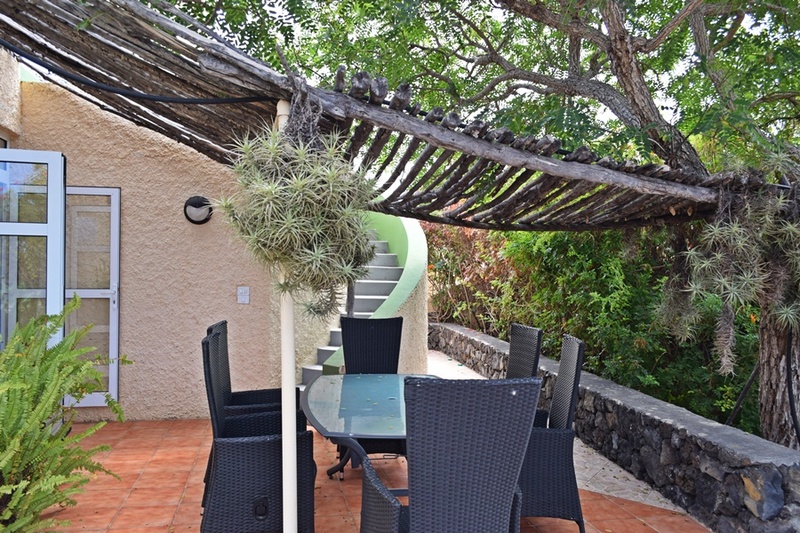 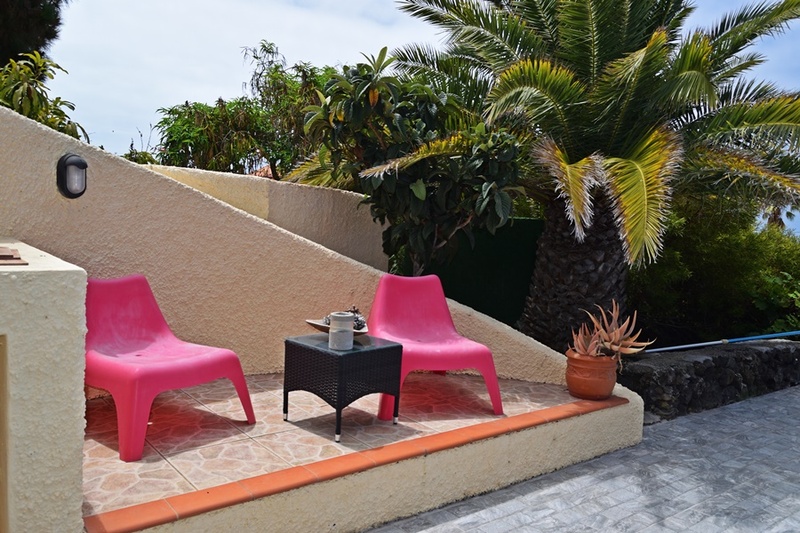 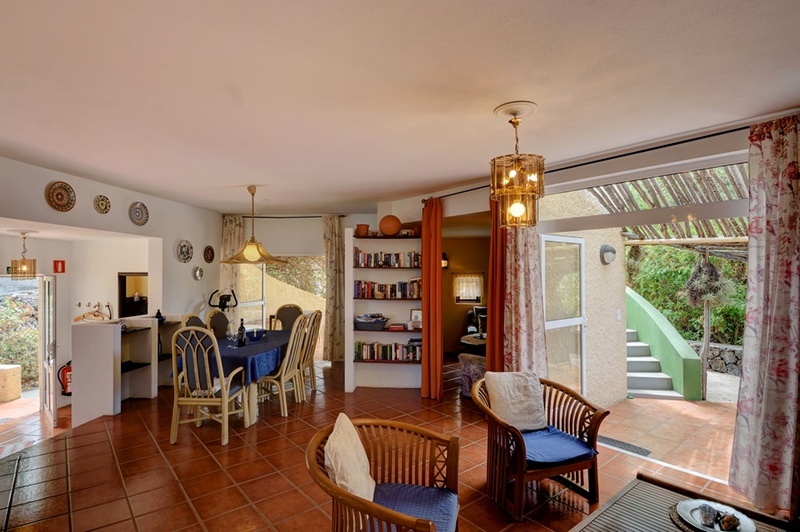 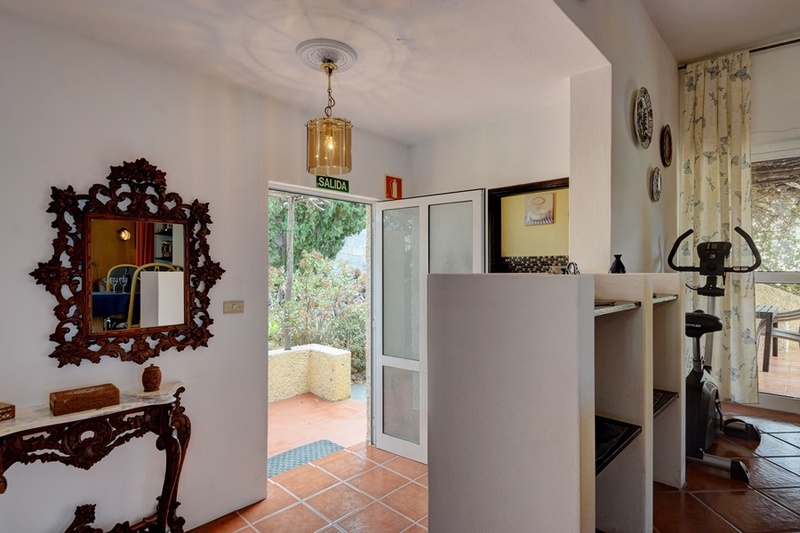 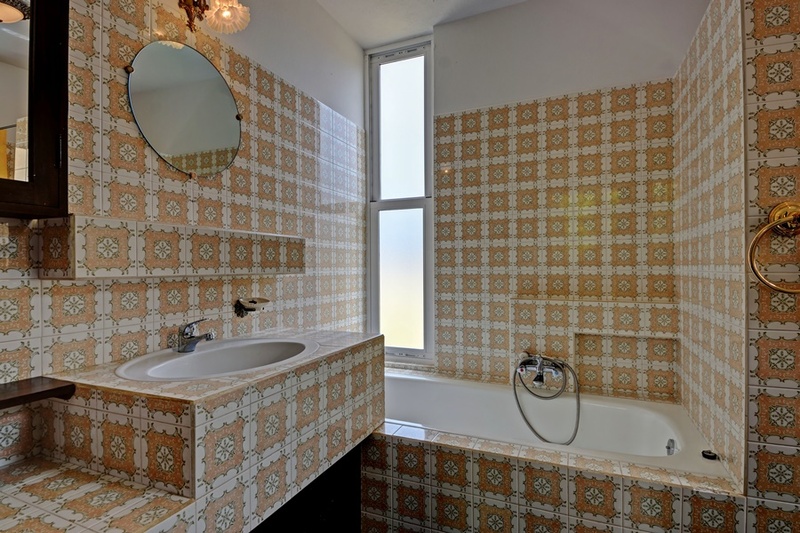 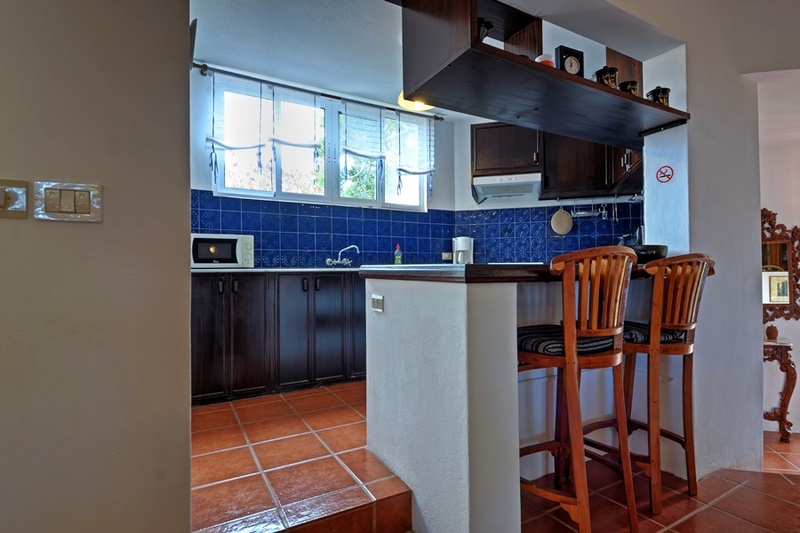 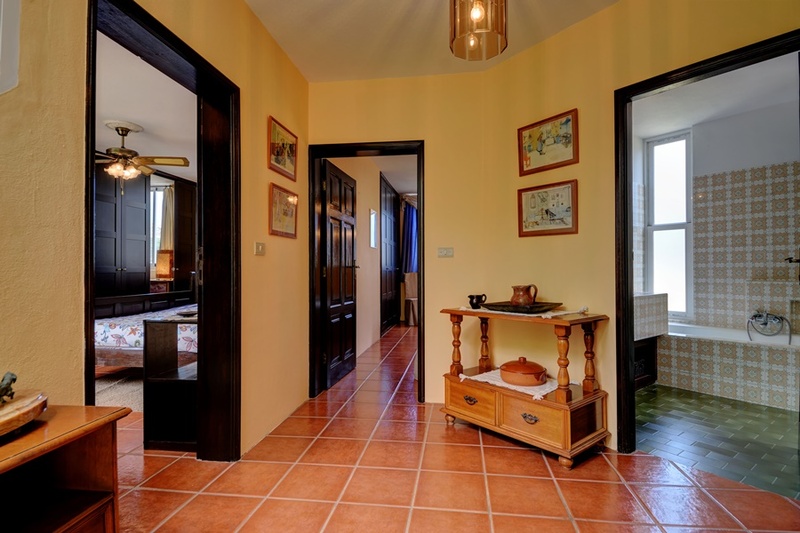 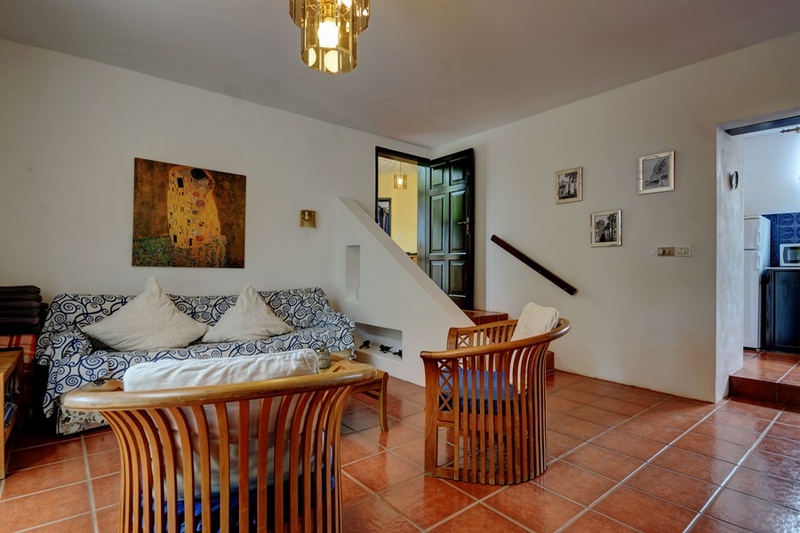 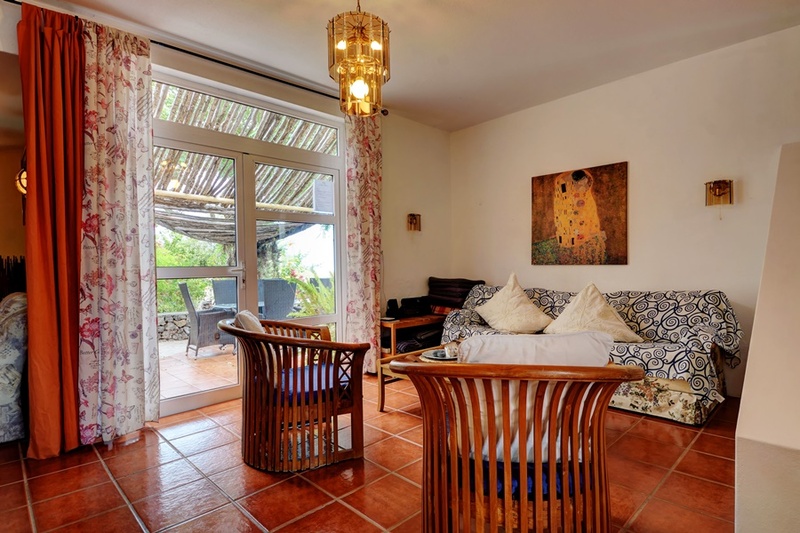 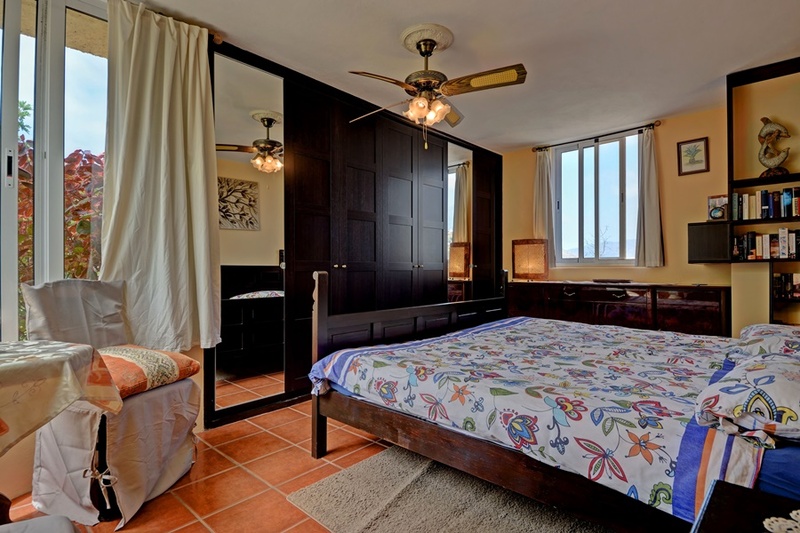 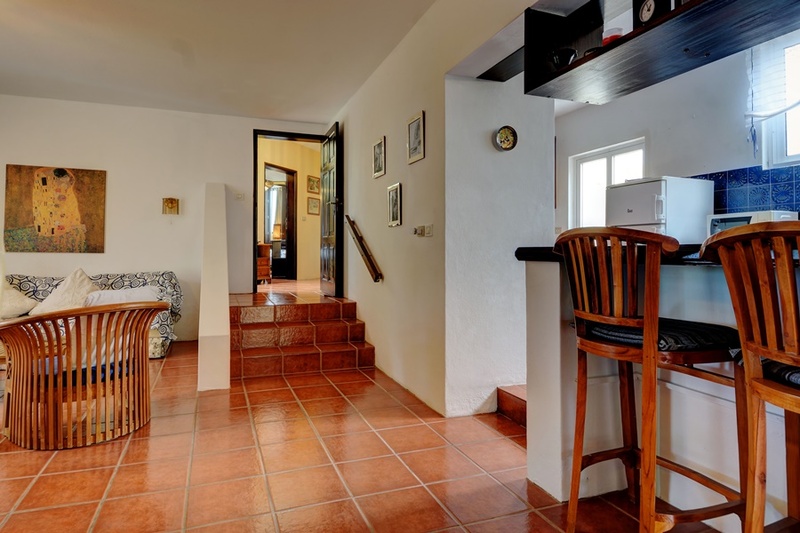 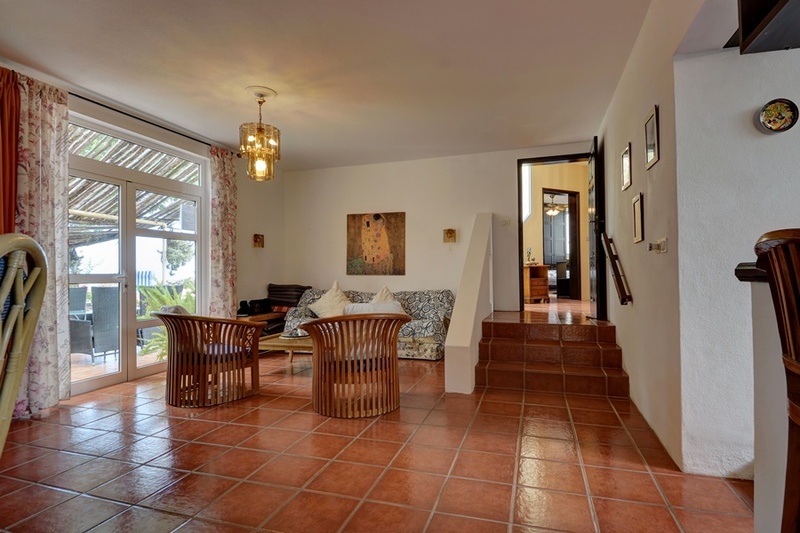 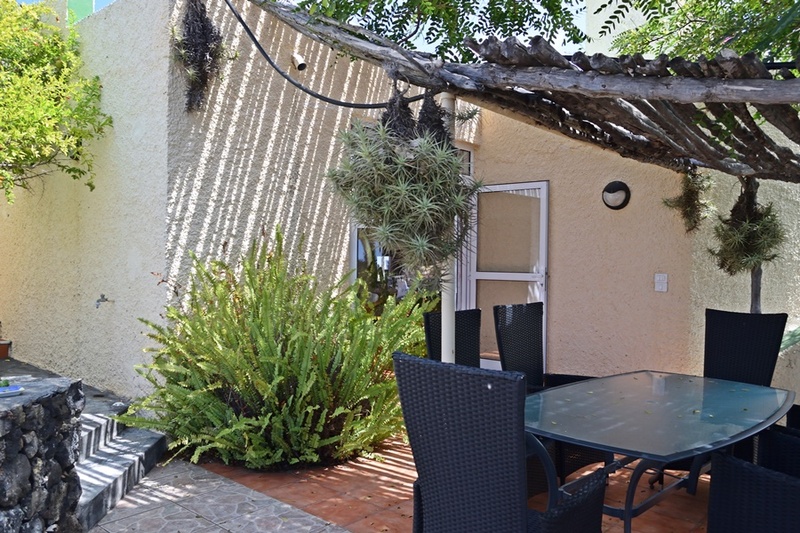 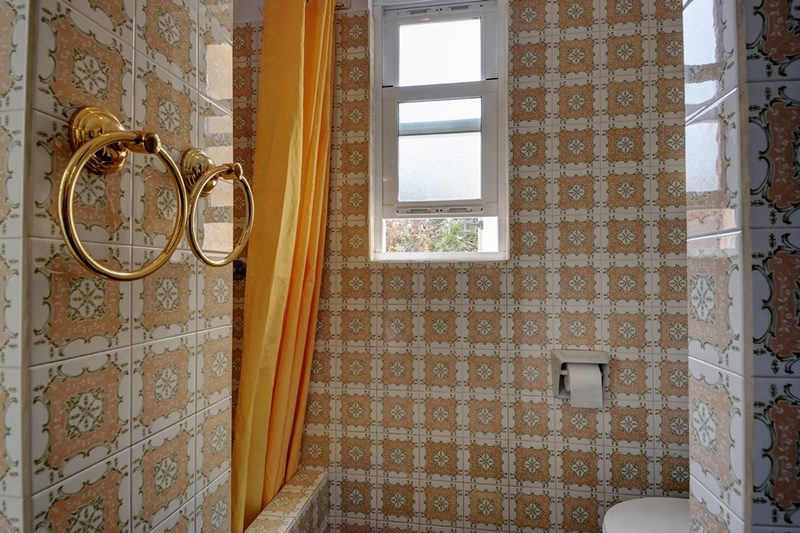 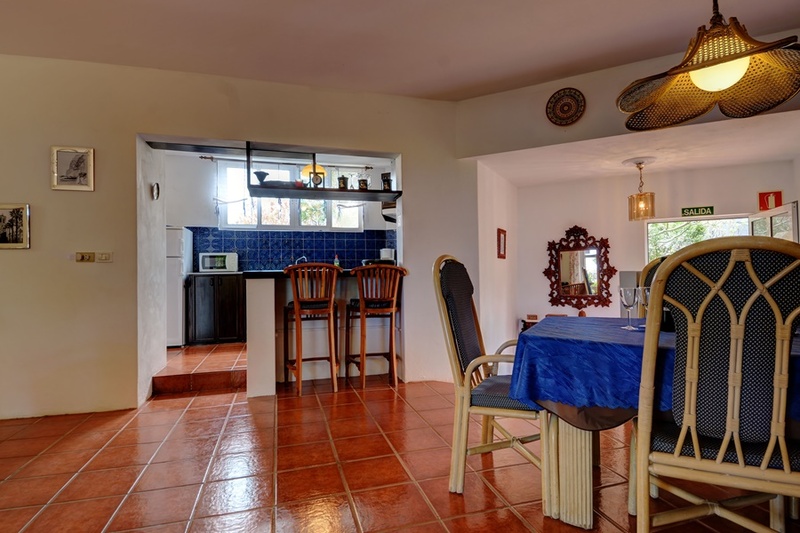 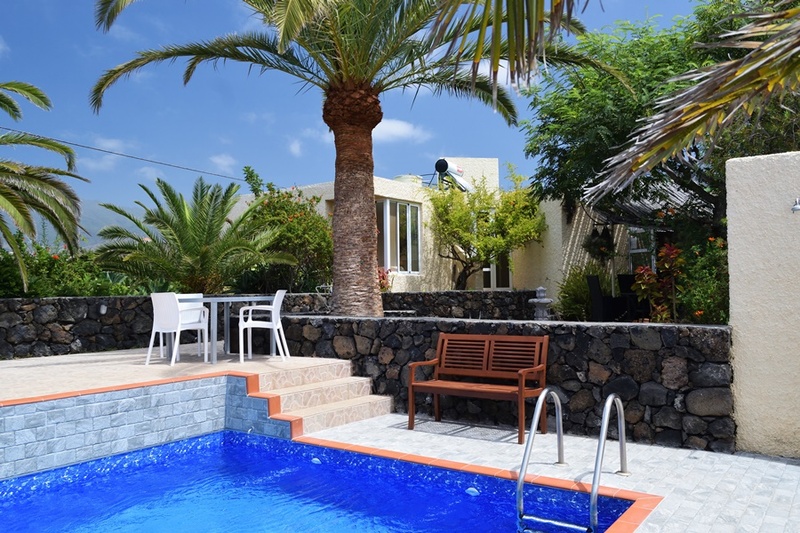 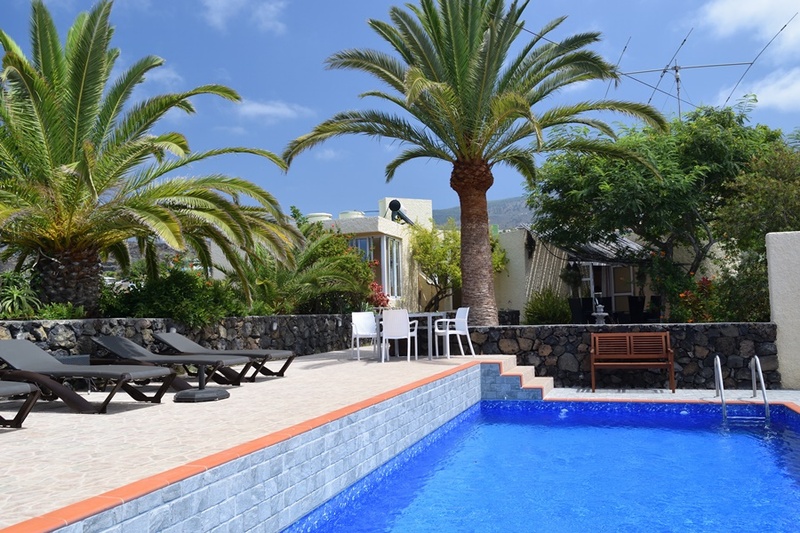 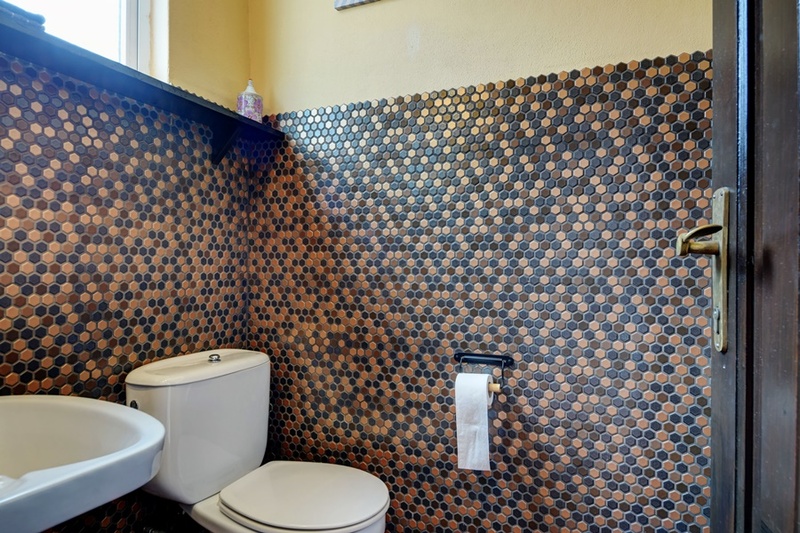 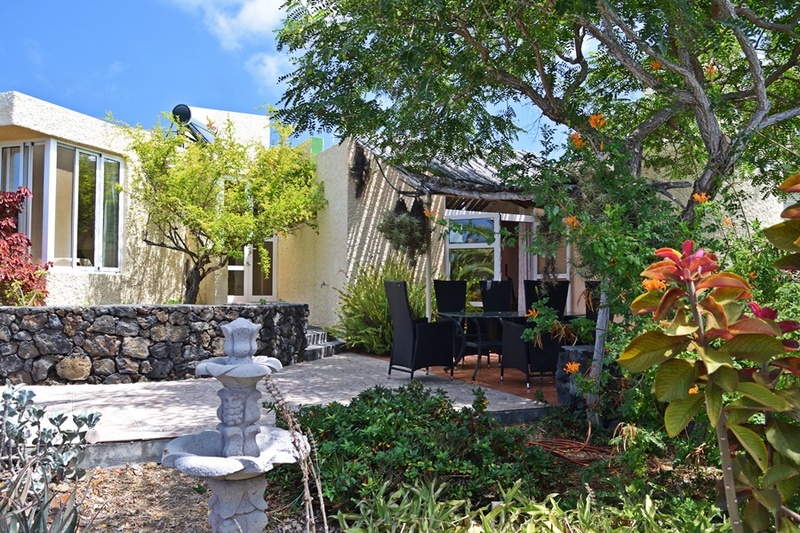 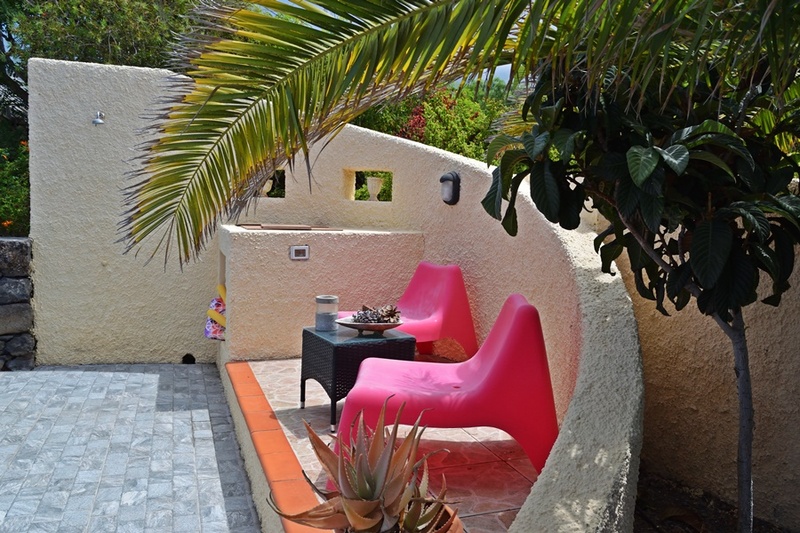 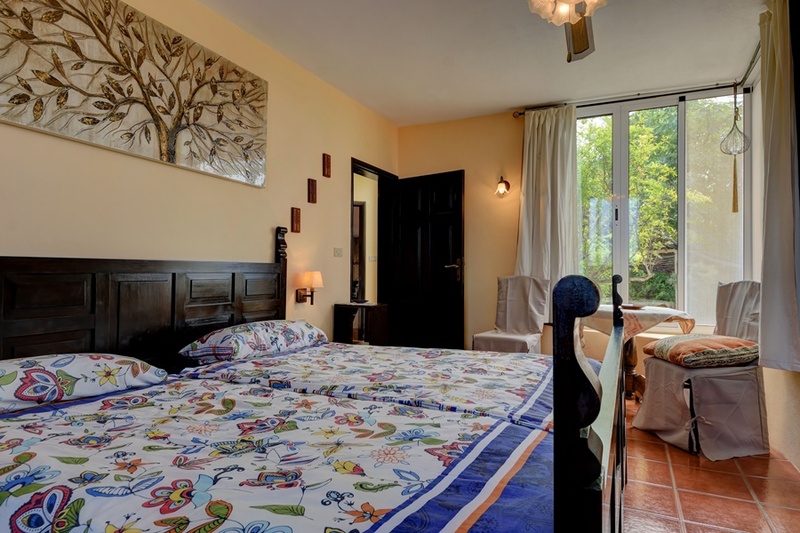 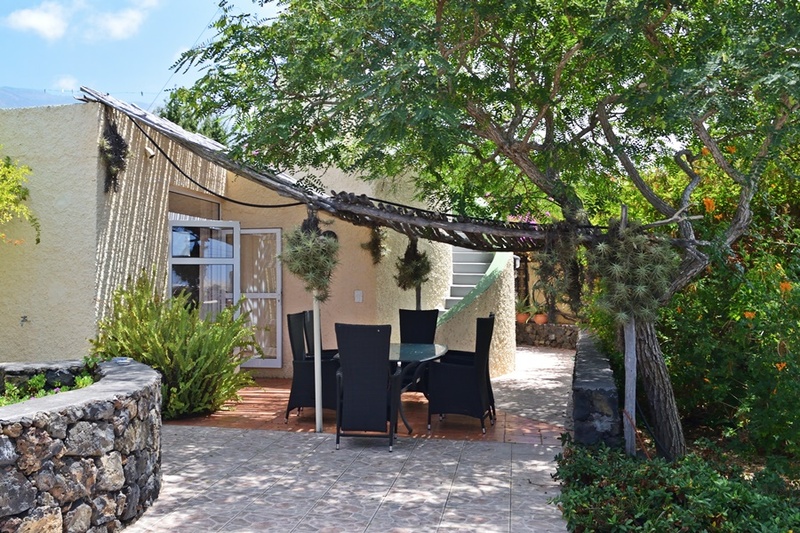 Casa Cora Ena is 120 square meters and was built in Canarian style and is decorated with lots of loving details. 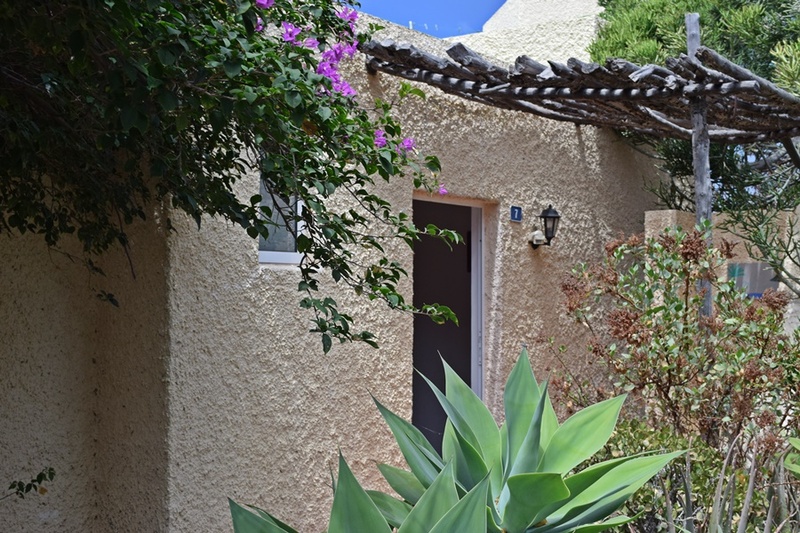 The holiday home consists of a spacious living room with integrated fully equipped kitchen, a TV room with fireplace, 2 bedrooms with a double bed (200×200) and 2 single beds (90×200), a bathroom with shower, bath and toilet and a guest toilet. 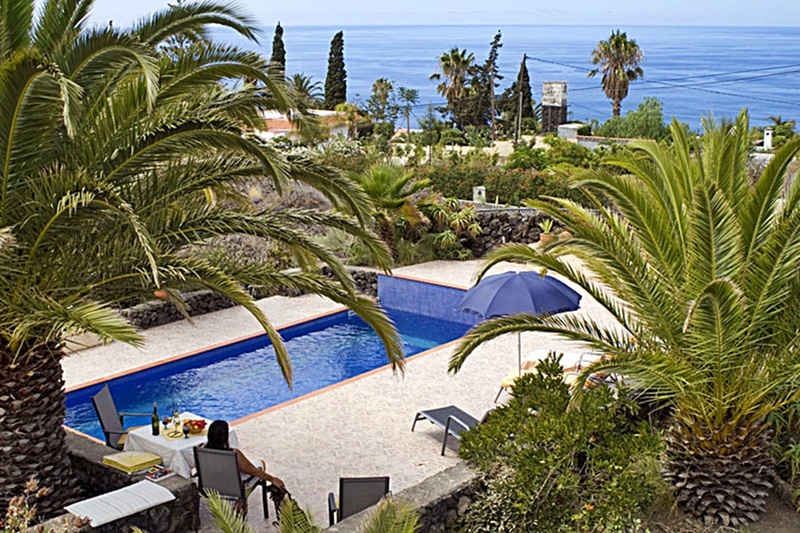 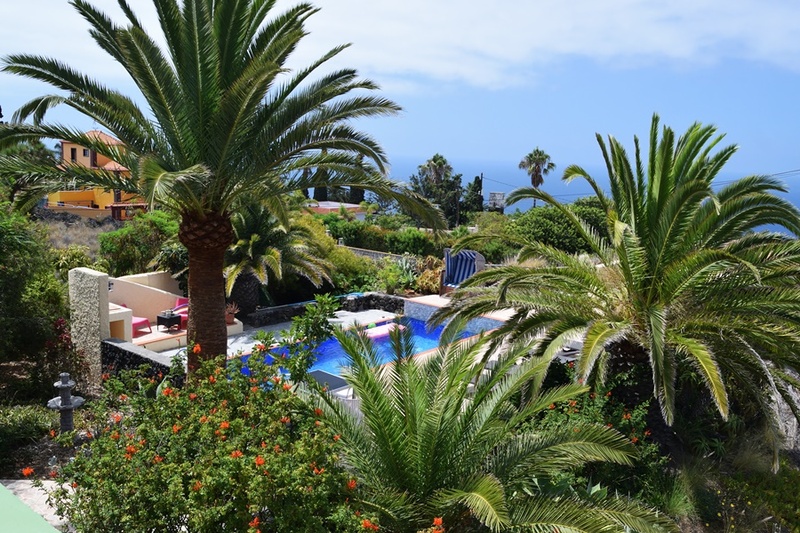 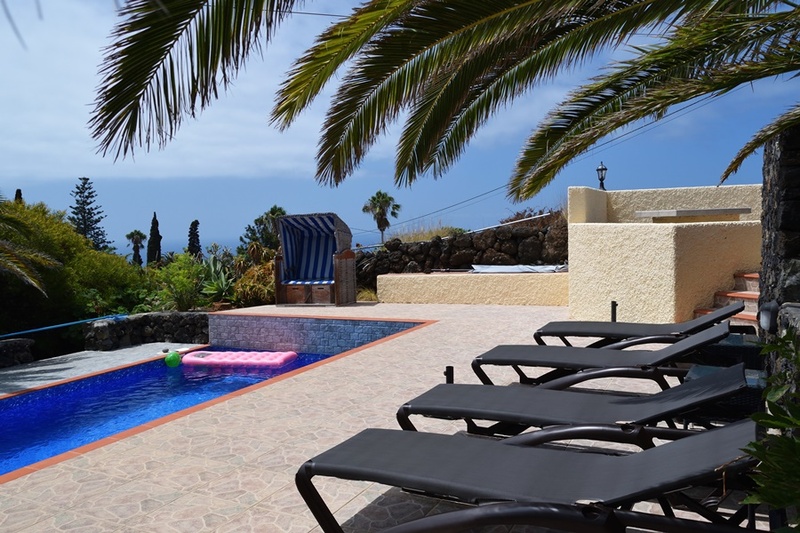 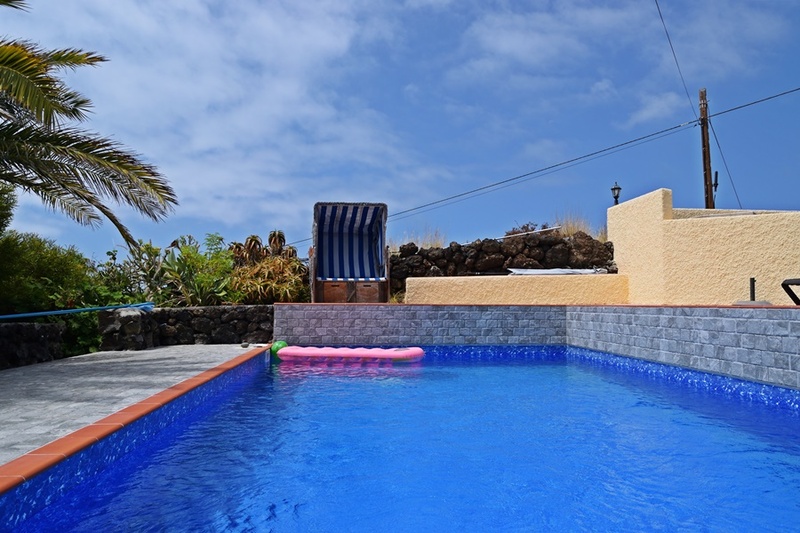 Around the house are several cosy sitting areas and there is a (solar-heated) private pool (8×4) to enjoy the wonderful sunny days on La Palma. 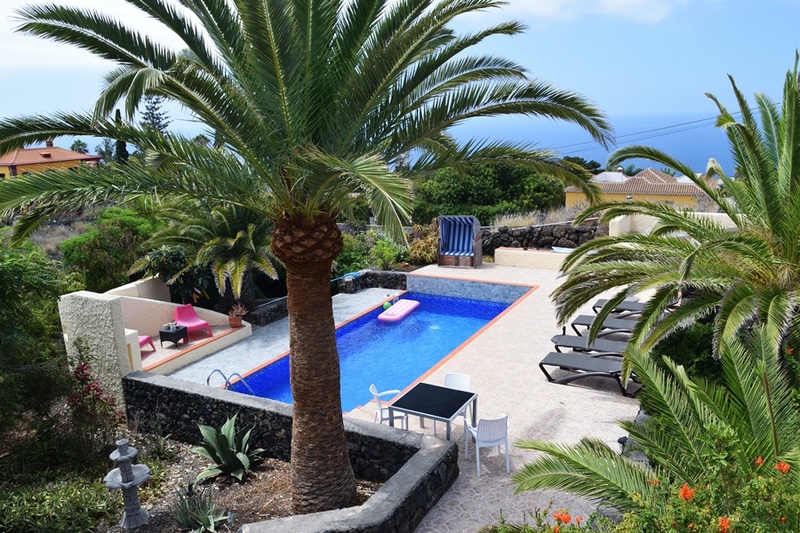 Enjoy the day in a beach chair next to the pool with stunning panoramic views of the mountains, the Aridane Valley and the Atlantic Ocean. 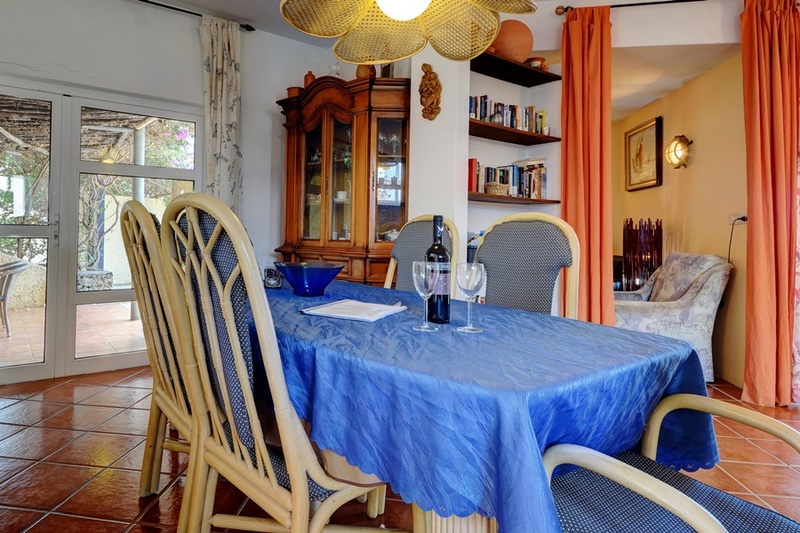 A fixed seating area is ideal for breakfast. 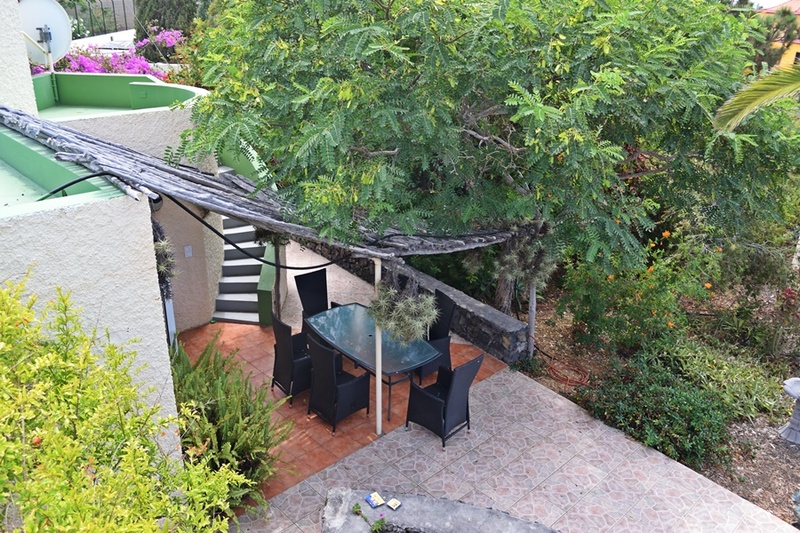 Two terraces directly at the house offer both sun and shade and there is a barbecue under a bougainvillea. 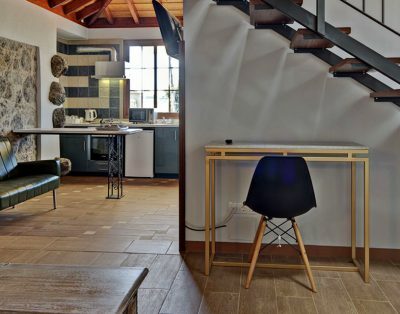 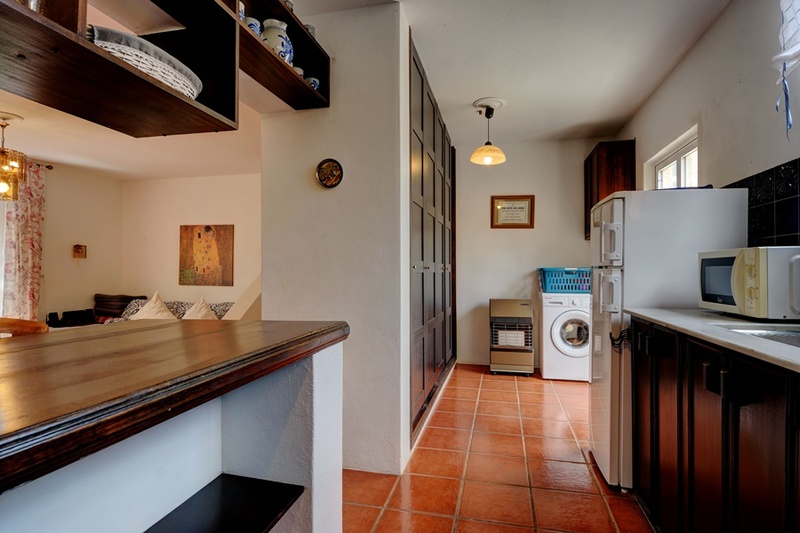 There is a washing machine at your disposal and of course casa Cora Ena is equipped with satellite TV (mainly German) and Wifi. 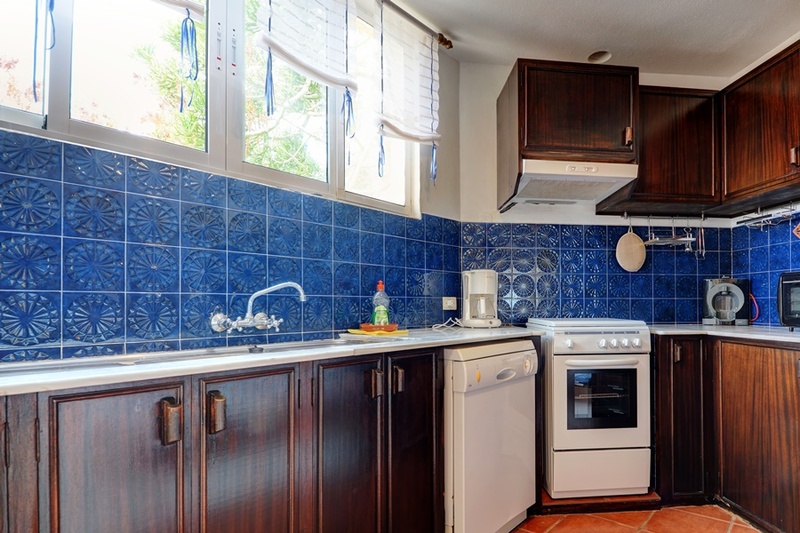 There is a dishwasher in the kitchen. 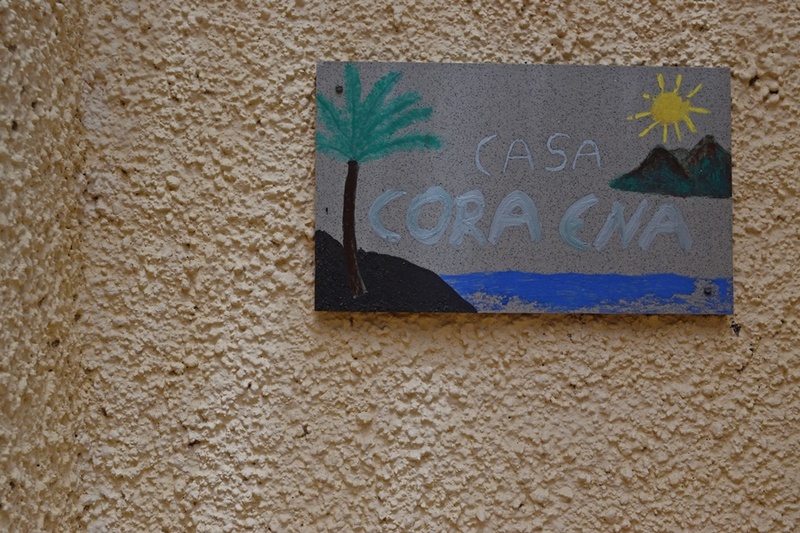 Casa Cora Ena has its own parking space. 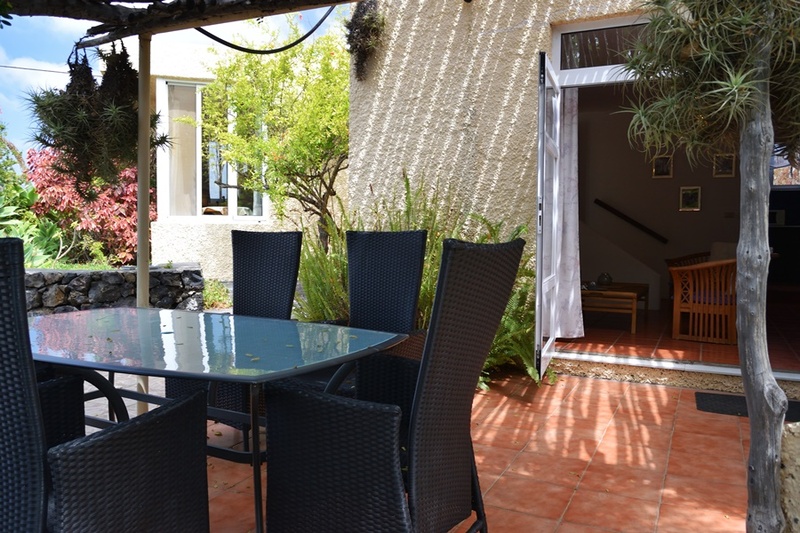 Pets can be brought to the house on request. 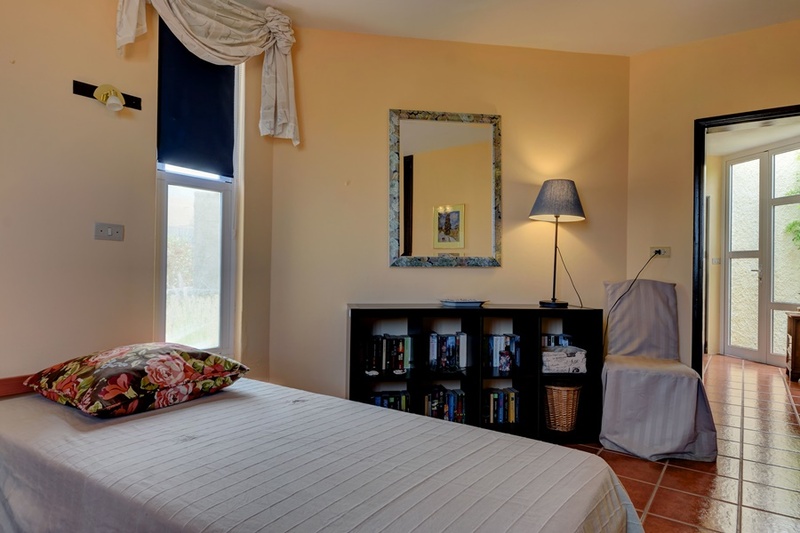 Offer: In the period May 1 to October 31, no daily rate is charged for children (max 2) up to the age of 14! 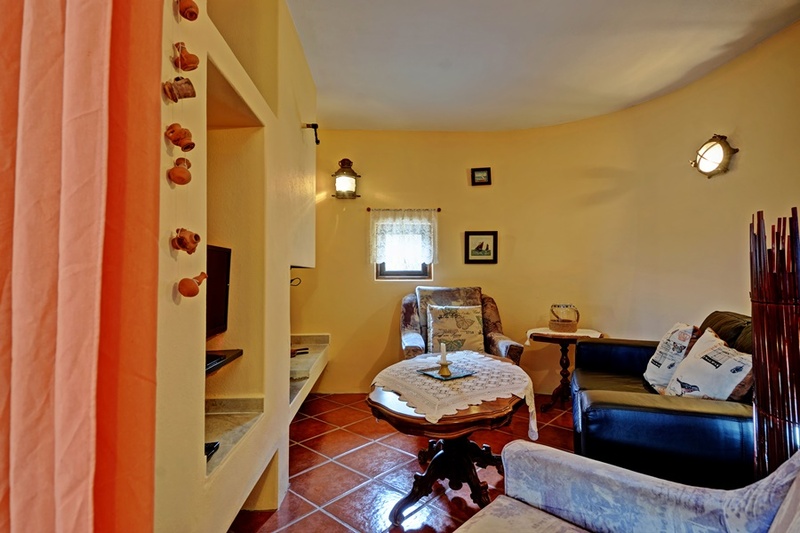 Children between the ages of 2 and 14 pay an additional € 8 per night between 1 November and 30 April. 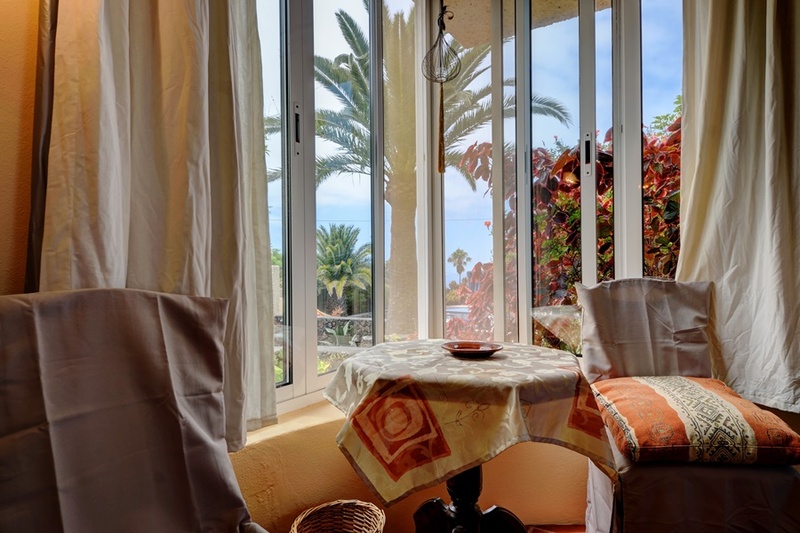 For children up to 2 years, a cot and high chair are at your disposal free of charge. 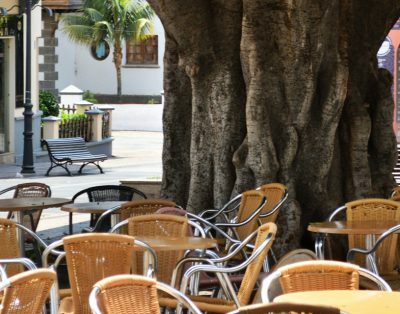 The beach of Puerto Naos with its boulevard, restaurants, bars and supermarket can be reached within 10 minutes by car.